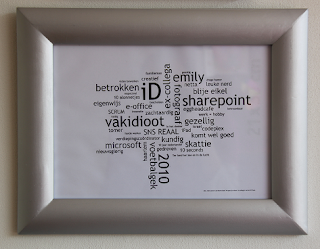 Yesterday was my last day at SNS REAAL after 3 years as a SharePoint Developer. Being part of a multi-functional team that delivers SharePoint based Intranet. I must say that it was a very enriching time where I learned a lot and it helped me to deep my knowledge in SharePoint. For this I am grateful... Thanks you ID team!! !